What Are Probiotics - Are They Necessary? How Do We Get Them? What are probiotics? In very simple terms they are good bacteria that reside in our GI system. To have a healthy GI system (and a healthy immune system) you need a balance of healthy or good bacteria living in your gut. Most people do not have this balance due to the food and water we eat and drink. Almost every American has taken antibiotics at sometime in their life. This of course kills the bad bacteria, but it also kills the good bacteria residing in our gut or GI system. Most of the meat we eat is from cows, chickens or fish that have been fed antiobiotics and so we ingest antiobiotics when we eat them. The chlorine in our water also kills some of the good bacteria. Some foods, like those that are high in sugar, encourage the growth of bad bacteria. Why do we care about that? Many health experts will tell you that a healthy immune system begins ... in the gut. Does that surprise you like it did me? Our youngest daughter was experiencing a lot of unpleasant GI symptoms, along with some other symptoms. One of the lab tests revealed that she had a "bad" bacterial overgrowth and was instructed to begin taking a probiotic supplement. I knew that probiotics were a good thing and that was about it. What probiotics should one take, what strains, how much, and what foods were all questions we needed answered. It was time to do some learning. You may be new to the concept of the importance of probiotics to our general health and to the health of our immune system. Dr. Gary Huffnagle, writes, "Some bacterias - called probiotics -are not only beneficial to our health, but actually essential." This healthy practice fits right into my little by-line of "Better Health for Better Vision." If you've been doing much research on macular degeneration, you will find that this eye disease is very nutritionally responsive. In other words we can make an impact on the health of our vision by what we do or do not eat. Macular degeneration research is finding that the degeneration of the macula is part of an inflammatory response - due to lifestyle, nutrition and genetics. 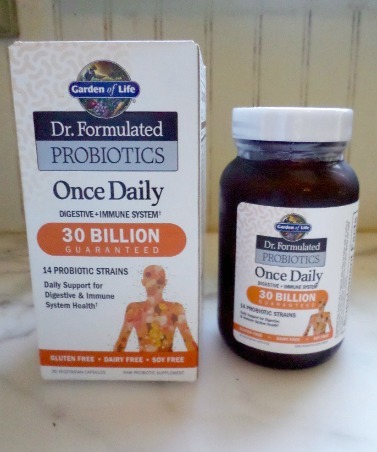 "Probiotics are vital for our immune system as well. They actually send signals to the immune system that reduce destructive overreactions, including inflammation." Probiotics protect us by keeping the "bad bacteria" population under control." A probiotic diet is not an easy diet to incorporate here in the U.S. Many yogurts in today's grocery stores do not even contain live cultures. The cheeses are not naturally aged and fermented food, like saurkraut, have become a thing of the past. Dr. Huffnagle is a Professor of Internal Medicine, Microbiology and Immunology at the University of Michigan Medical Center. Be sure to read the label. It needs to say "live and active cultures" seal from the National Yogurt Association. We buy the plain organic Stonyfield yogurt with 6 probiotic strains. Many commercial yogurts contain too much sugar and sugar encourages the growth of bad bacteria. This would include cheddar, Swiss, parmesan, gouda. Just like yogurts, most cheese do not contain live cultures. Instead of being naturally aged, they have been aged using an acid or enzyme. Look for "cheese cultures" on the ingredient label list. Also it will say "naturally aged." 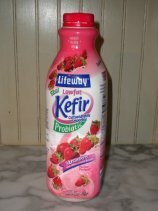 Whether it is water kefir or dairy kefir, drinking this daily will provide you with lots of good bacteria. I bought my own water kefir grains and make mine with spring water, molasses, and rapadura sugar. While my friend makes it and brings it when she visits, I buy mine from our local grocery store or on line. The brand and flavor I like is GTs Enlightened Synergy Organic and Raw Kombucha Cosmic Cranberry. I can now sometimes find it at Target or Kroger. It is a little bit of "vinegary" taste to it - but also a nice, refreshing fizz. Instead of grabbing a can of soda try a bottle of Kombacha. Kombucha Tea Pronatura 33.8 oz. 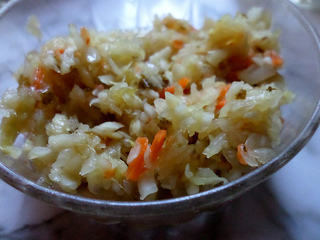 These would include pickles soaked in brine, sauerkraut, kimchi, and miso. Dr. Huffnagle suggests that one should aim for a least one or two probiotic foods each day and more if you have health problems. "To me probiotics and prebiotics aren't optional additions to our diet. They are an essential food group, one that provides nutrients just as important to our health as vitamins and minerals." Lactobacilli is the most prevalent bacteria in the small intestine while Bifidobacteria resides in the large intestine. 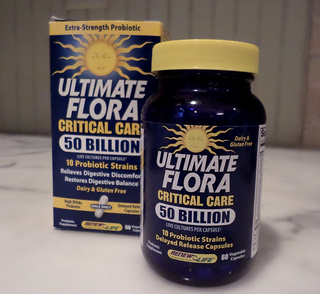 Some health experts state that the more strains in the probiotic supplement the better. Select one that has multiple strains and not just one. As we age our good bacteria levels decline, making it even more important to replenish them for a healthy GI system. There is a wide variety in culture count from less than one billion to over 50 billion in a capsule. Dr. Huffnagle's suggestions are to aim for 3-5 billion CFU per day and 20-30 billion CFU per day to address a medical problem. 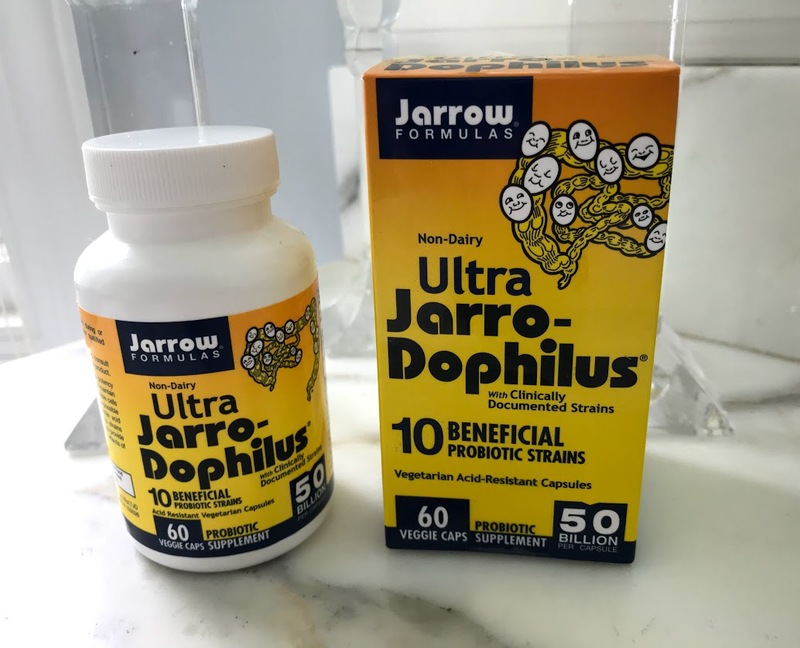 Other brands he recommends are Align, Florastor, and Jarrow-dophilus.